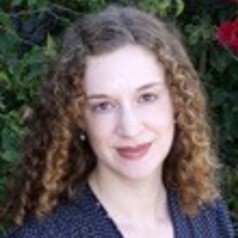 Katherine Meizel earned her Ph.D. in ethnomusicology at the University of California, Santa Barbara, and also holds D.M.A., M.M., and bachelor’s degrees in vocal performance. Her research has focused on voices and vocalities, and topics including popular music and media, religion, American identities, and disability studies. She also has an interest in performing American old time music. Her book Idolized: Music, Media, and Identity in American Idol was published by Indiana University Press in early 2011; she also wrote about Idol for the magazine Slate from 2007 to 2011. Other publications have appeared in Popular Music and Society, The Grove Dictionary of American Music, MUSICultures, The Voice and Speech Review, the Journal for the Scientific Study of Religion, eHumanista, and several edited collections. She is currently co-editor of the upcoming Oxford Handbook of Voice Studies. At BGSU, Dr. Meizel teaches courses in music and identity, world musics, and seminars in ethnomusicology.